1. Punk legend Billy Idol is back in Las Vegas this weekend. Shows kick off Jan. 18 at the Palms hotel-casino. 2. The WHO Invasion is performing Jan. 18 at Sand Dollar Lounge. Enjoy favorite WHO songs including “My Generation,” “Love Reign O’er Me,” “Pinball Wizard” and more. 3. The Clark County Library is hosting a talk Jan. 19 featuring cast and crew of the famous “Folies Bergere” show that ran for many years on Las Vegas Strip. The library is also hosting an exhibit. 4. Aces & Ale is having its Winter Beer Fest on Jan. 19. The beer fest will feature samples from dozens of breweries. A brunch is also available before the fest. 5. Joey Ugarte & the Jazz Vibrations are performing Jan. 19 at Tuscany Suites. Enjoy jazz standards, classic jazz, Brazilian and Latin jazz. 6. Bandito Latin Kitchen & Cantina is hosting a game night on Jan. 19. Games include Dominoes, Spades, Uno, Connect Four and beer pong. There will also be a live DJ and dancing. 7. The topic for the next community safety forum on Jan. 20 at the Mob Museum is burglary and robbery prevention. Learn from authorities on what thieves and burglars look for in their victims and how to avoid becoming one. 8. West Las Vegas Library is hosting a Peace Week celebration on Jan. 20. Celebrate the contributions of Dr. Martin Luther King Jr. and hear from community leaders making positive changes in their communities. 9. Market in the Alley is happening Jan. 20 at Fergusons Downtown. Live music, fresh food yoga and 50 local creatives selling their art, jewelry, vintage items and more. 10. A Super Blood Wolf Full Moon Ceremony is happening Jan. 20 at Sunset Park. Music, sound healing, meditation, drum circle and viewing of the moon through telescopes. 12. Eataly at Park MGM is hosting a free wine and spirit tasting on Jan. 19, 21 and 23. Get to know representatives of the featured distilleries and wineries. 13. The Bunkhouse Saloon is hosting singer and songwriter night on Jan. 22. Local musicians and performers share what they are working on. Hosted by local songsmith Blair Dewane. 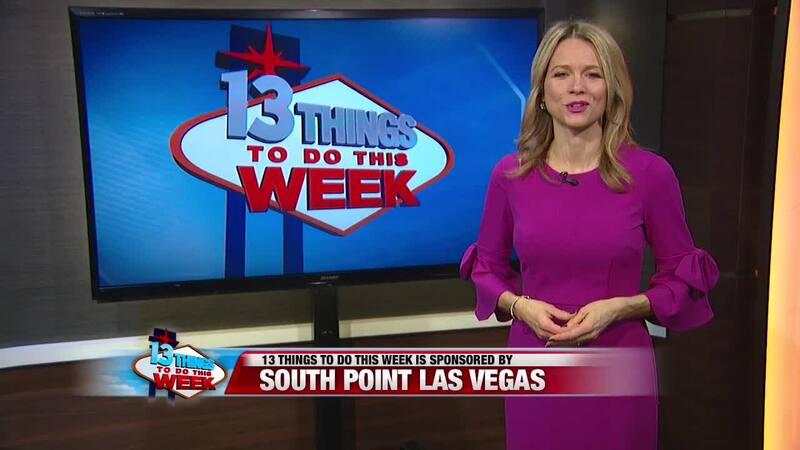 If you would like to submit an item for a future 13 Things list, send an email with details to joyce.lupiani@ktnv.com.